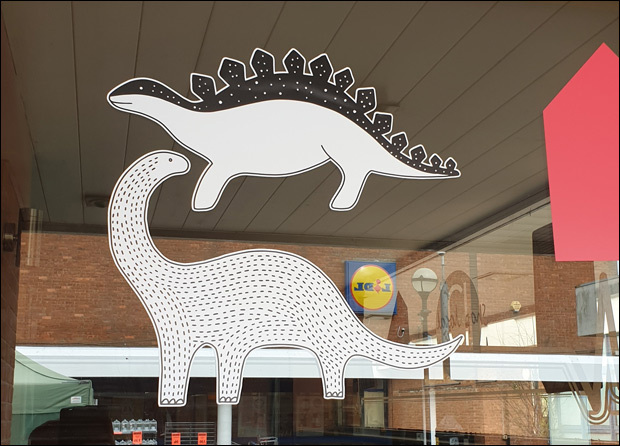 Shoppers in Burgess Hill were left bemused today after the Martlets Shopping Centre's empty shop units had their windows decorated with a varity of vinyl stickers - which included Dinosaurs! 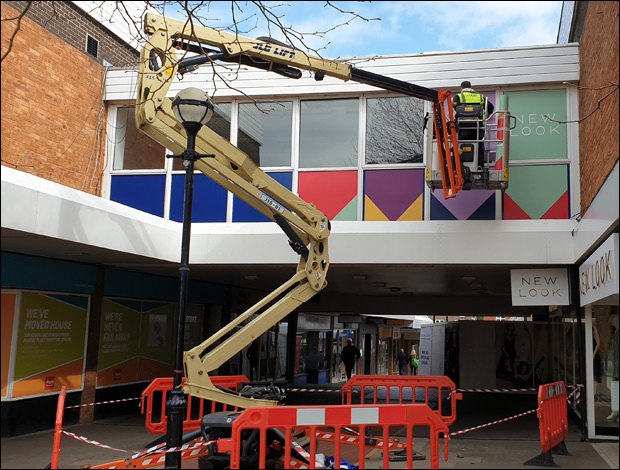 The work was sanctioned by shopping centre owner NewRiver Retail with a team working throughout the day to complete the project. 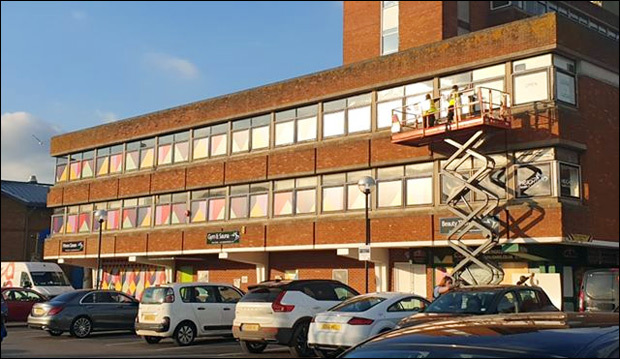 Among the buildings to be decorated included the 'bridge link' between Argos and NewLook as well as the Martlets Heights building. 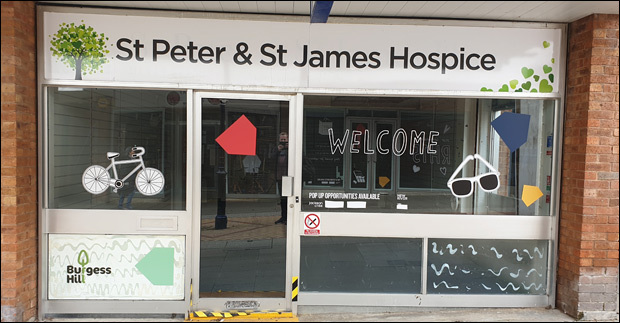 A resident on our Instagram page commented... "When the council pays to put stickers on a window you know that sh*t isn't being demolished for at least 6 months." NewRiver Retail obtained planning permission to demolish and redevelop the shopping centre in Spring 2016. The timing of sprucing up the shop fronts is very suspicious with the local elections just 5 weeks away. Many of the units covered in stickers proclaim to be available for rent... two years after long-standing tennants were moved on due to the impending demolition. NewRiver Retail have been working on the scheme since 2012... we still await any major progress beyond the company pre-selling 140 apartments for a cool £34 million. 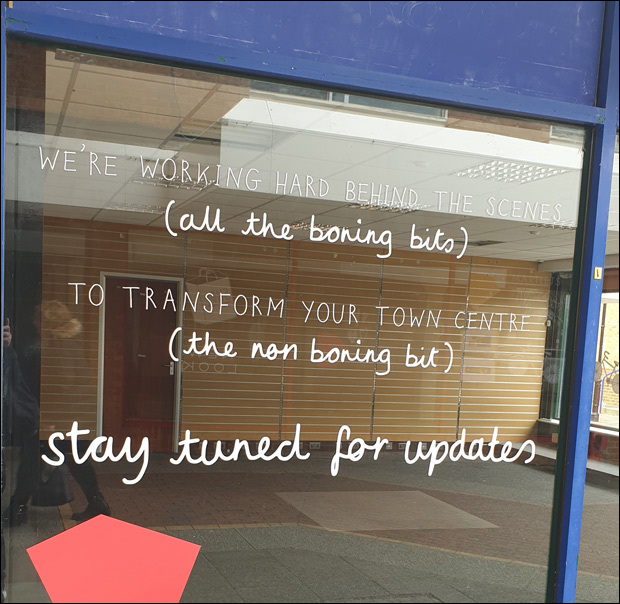 What are your thoughts on NewRiver Retail covering the empty shop units with random stickers?